Aging leads to a variety of changes that could put your senior loved one’s emotional wellbeing in jeopardy. Lack of mobility, vision loss, hearing impairment, and difficulty communicating with others could increase your loved one’s risk of anxiety and depression. Here are some of the ways family caregivers can boost their loved one’s emotional wellbeing. One of the best ways to enhance your loved one’s wellbeing is by keeping him or her active through cognitively challenging games such as word games, puzzles, and cards. These activities can keep your loved one’s brain stimulated and engaged. Playing brain games also helps seniors stay socially active. When your loved one completes the puzzles or word games, he or she may experience a sense of accomplishment that boosts his or her mood almost instantly. Consider hiring a professional caregiver if your elderly loved one needs mental or social stimulation. Oshkosh home care experts are available to provide high-quality care to seniors on an as-needed basis. From assistance with mobility and exercise to providing transportation to the doctor’s office and social events, there are a variety of ways professional caregivers can help your aging loved one continue to live independently. Send your loved one a joke each day through email or via text message. In addition to jokes, you can send memes or funny short videos. Laughter is one of the best forms of medicine for seniors. It provides a daily dose of happiness that enhances their wellbeing. 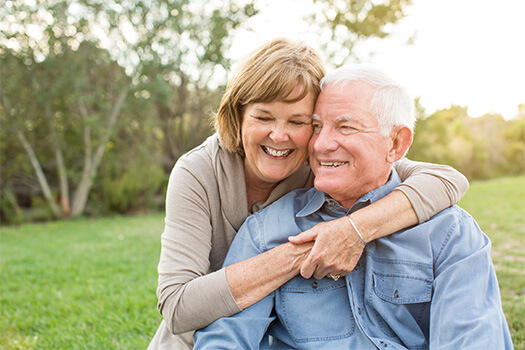 Other ways to help your loved one laugh include sharing funny stories about the grandkids or purchasing funny items such as greeting cards, calendars, and T-shirts with humorous sayings. Walking in nature is a fun way to help seniors relax their minds and soothe their spirits. Taking your loved one on a nature walk can lower his or her blood pressure and provide a sense of purpose. Completing the walk can provide seniors with a sense of accomplishment that boosts their mood and emotional wellbeing. If your loved one cannot go on walks regularly, make sure to encourage him or her to go outdoors each day. You can also fill the home with plants or place bird feeders near the window to provide an outdoor feel. Volunteering, gardening, joining a local gym, or attending community events with family and friends are great ways for seniors to enhance their wellbeing. When seniors experience age-related health issues, they begin to feel less appreciated and more isolated. However, keeping your loved one involved in social activities can enhance his or her mood and boost his or her self-esteem. For families living in Oshkosh, WI, respite care can be a wonderful solution when their aging loved ones need companionship and socialization a few hours a week or just need minor assistance with daily household tasks. At Home Care Assistance, we thrive on helping seniors maintain their independence while living in the comfort of home. Taking care of a pet can make your loved one feel more independent and appreciated. Caring for a pet could also lead to less depression and agitation and more social engagement. When searching for a cat, dog, or other small pet, choose an animal that is not difficult for your loved one to take care of. Too much work could take the fun out of being a pet owner. Families who need help boosting their loved one’s emotional wellbeing should consider hiring professional caregivers. In Oshkosh, WI, home care agencies can be a great boon to seniors. With the help of the caregivers at Home Care Assistance, your aging loved one can lead a happier and healthier life. We offer a revolutionary program called the Balanced Care Method, which encourages seniors to eat nutritious foods, exercise and socialize regularly, and focus on other lifestyle factors that increase life expectancy. To learn about our revolutionary in-home care plans, call one of our friendly Care Managers at (920) 710-2273 today.